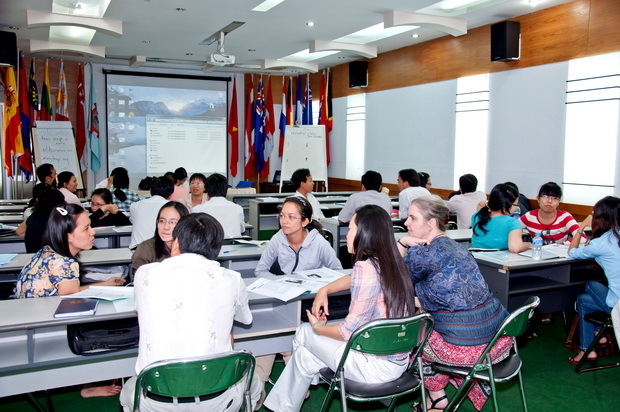 40 Math teachers and 100 teachers of English attended the opening ceremony of the intensive English training courses at SEAMEO RETRAC on August 27, 2012. The courses aim to help learners to achieve required levels of English proficiency to be well-prepared for teaching their subjects in English at high schools. It also helps these target learners familiarize themselves with teaching Maths and other science subjects in English. The program is divided into two stages: the first stage from August 27 to October 05 and the second one from November 21 to November 30, 2012.